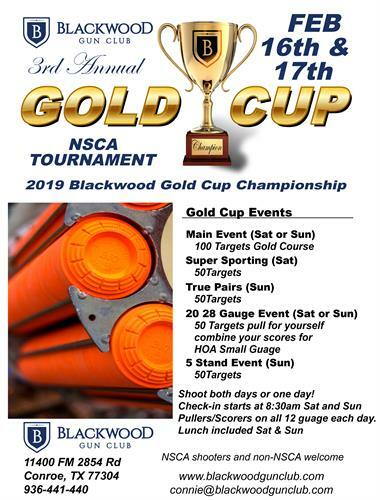 Come break some clays in a competitive NSCA shotgun tournament. All guages welcome. Shoot one or both days! Lunch included on Saturday and Sunday. NSCA and Non NSCA members welcome. See Flyer/Image for more details on events and pricing. Saturday Feb. 16th & 17th. Check in begins at 8:30 and cutoff for registration each day is at 2pm.